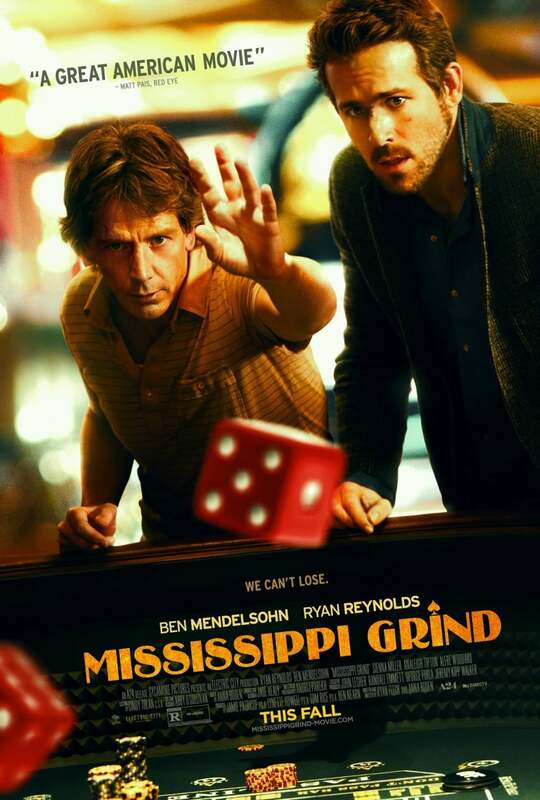 Brief Synopsis: "Gerry is a talented but down-on-his-luck gambler whose fortunes begin to change when he meets Curtis, a younger, highly charismatic poker player. The two strike up an immediate friendship and Gerry quickly persuades his new friend to accompany him on a road trip to a legendary high stakes poker game in New Orleans. As they make their way down the Mississippi River, Gerry and Curtis manage to find themselves in just about every bar, racetrack, casino, and pool hall they can find, experiencing both incredible highs and dispiriting lows, but ultimately forging a deep and genuine bond that will stay with them long after their adventure is over." Bryan Lienesch 67 - Ryan Reynolds' charisma isn't enough to elevate a mediocre film.